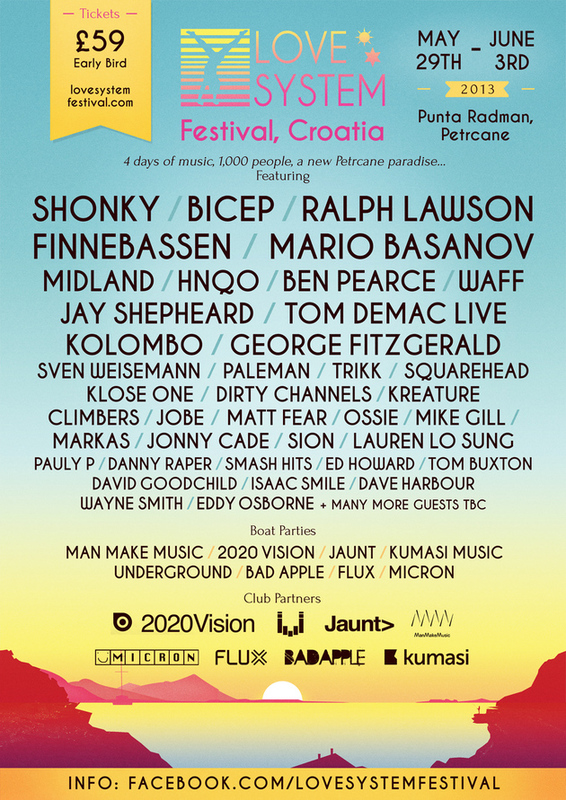 Love System is a brand new European festival taking place just outside the beautiful Croatian town of Petrcane, tucked into the Adriatic coastline. The vision is to create an immersive experience for avid followers of house music and all its various guises. Love System takes place in the never-before-used Punta Radman wood. The shaded, intimate site contains a maze of bars, stages and chill-out areas nestled in between the trees. Venture further into the wood and, without a building in sight, punters spill out onto the coast where the main stage lies floating over the Adriatic. Here, festival-goers will have the opportunity to dance the day and night away to the beat of electronic music’s elite, caressed by the afternoon summer sun or the blissful Croatian night-time. Shonky, Bicep, Ralph Lawson, Mario Basanov, Ben Pearce and Finnebassen are just some of the names to grace the floating stage. 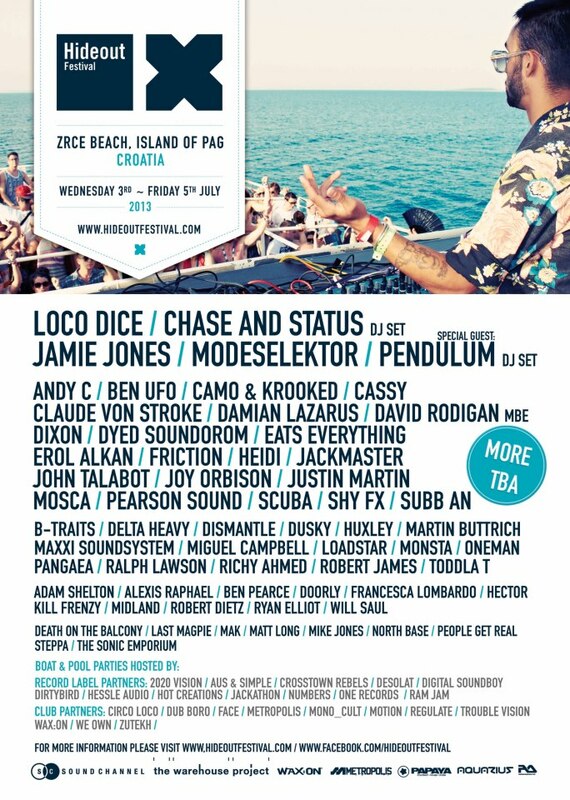 In true Croatian style, Love System wouldn’t be complete without a boat party, so we have decided to bring you eight. Hosted by some of the most esteemed labels and party brands in the UK, including Jaunt, Underground, Kumasi and Bad Apple, the Love System fleet sets sail twice daily. Catch George Fitzgerald representing his ManMakeMusic label alongside Trikk, roll up for Ben Pearce and the Tom Demac Live show with Micron, indulge yourself with French house groover Shonky on the 2020Vision cruise, or see UK funky don Ossie together with Berliner Sven Weisemann smash up the Flux boat. Love System is more than just a festival; it is a holiday as well. There is a range of beautiful apartments and villas just minutes from the site, allowing revellers all the comforts and luxuries they could want. Alternatively, camping is available next to the site for those looking to enjoy the Croatian summer. Travel packages including transfers from Leeds, Manchester and Newcastle to London airports, and coaches to the site, are available to make booking your time at Love System as easy as possible. Zadar is the closest Croatian airport and is just 15 minutes from the festival site with return flight prices from the UK currently around £120, and new direct routes from Liverpool and East Midlands airports to Zadar launch at the beginning of April. Split and Zagreb are the other two closest Croatian airports. The Love System pre-party takes place on the evening of Wednesday 29th May, before 4 full days and nights of music begin on the festival site from 11am on Thursday 30th May. Love System boat parties run from 1pm-5pm and 6pm-10pm daily between the Thursday and Sunday, and Monday is chill time! Love System is the connoisseur’s festival: forward-thinking music, mindblowing Adriatic coastline setting, bespoke boat parties, branded after parties, luxury accommodation, and the Croatian summer. With tickets limited to just 800, make sure you bag yours now to avoid any disappointment. Early Bird tickets are on sale now priced at only £59. Roll on the Summer of Love!